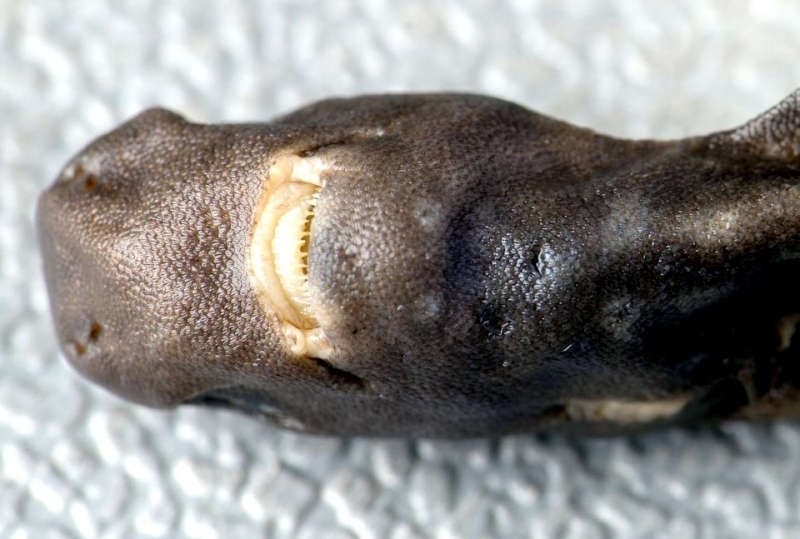 (Special note) Further information on this species will be forthcoming as research develops. 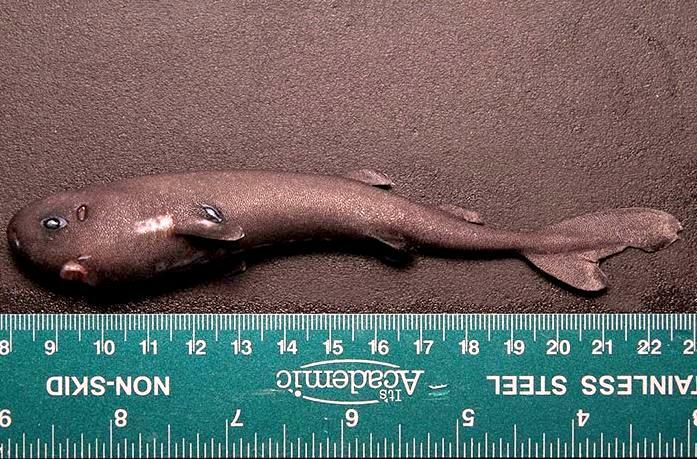 Even if you’re a die-hard animal lover who tunes in to every episode aired during “Shark Week,” you’d be forgiven for not knowing about the Pocket Shark. 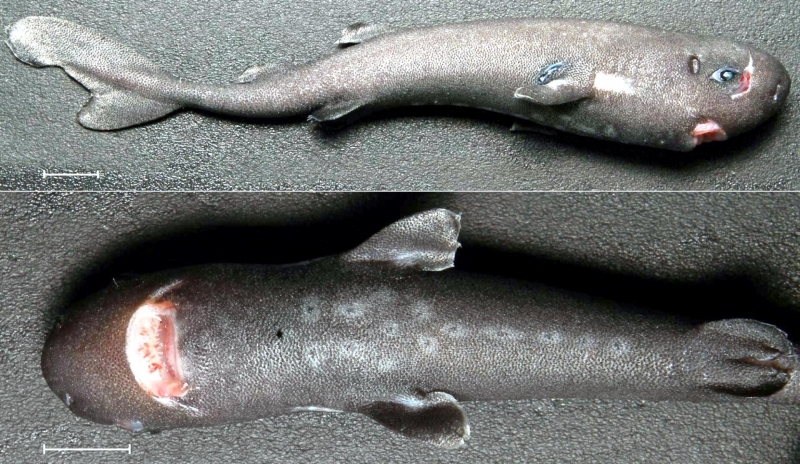 The very first one was found 36 years ago off the coast of Peru and since then, the species had never been seen again until now. 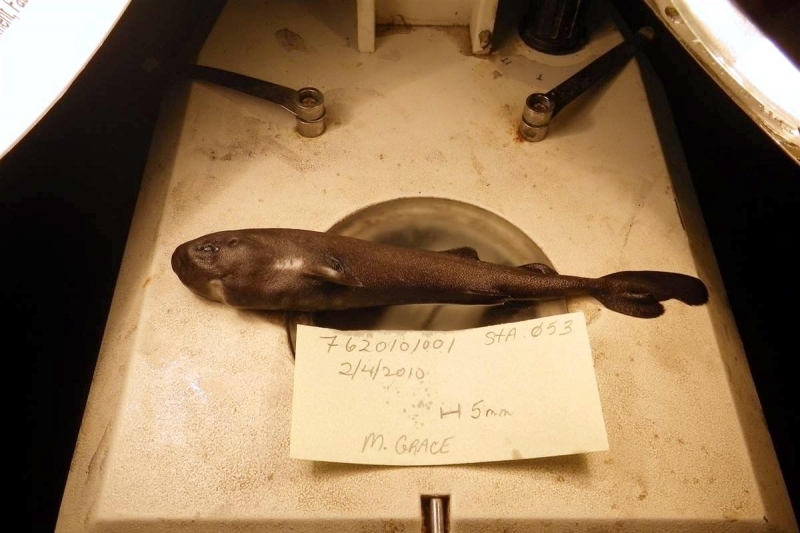 According to a new study published in the journal Zootaxa, the second Pocket Shark ever to be seen has been discovered. 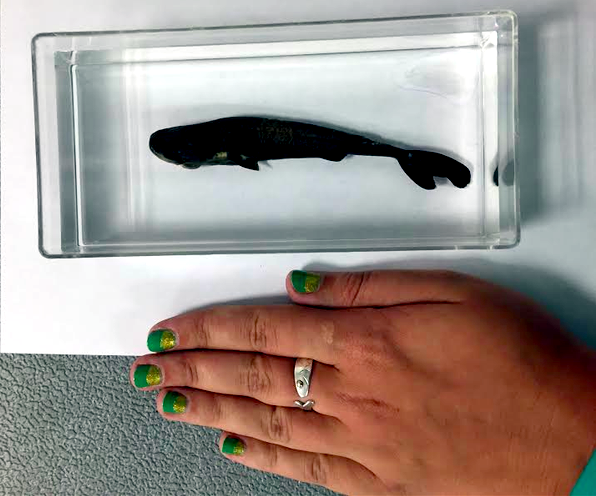 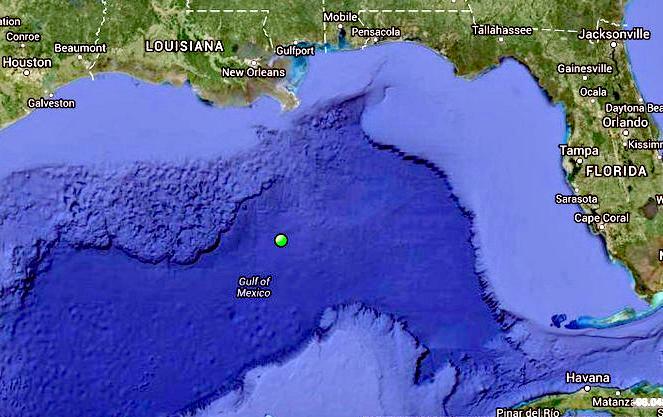 It was found in a batch of fish collected as part of a National Oceanic & Atmospheric Administration (NOAA) study conducted in 2010, about 190 miles offshore Louisiana to study Sperm Whale feeding. 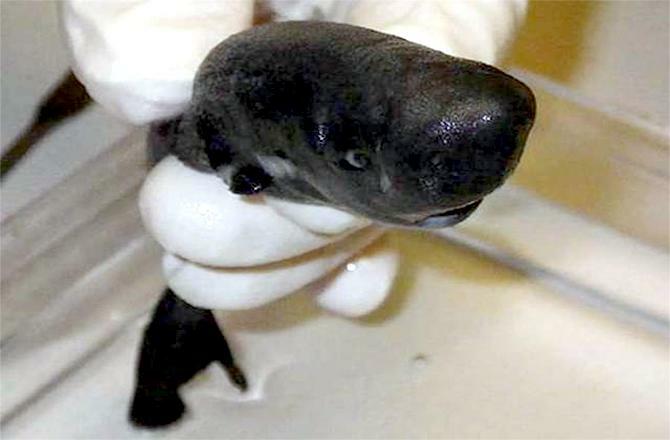 Unfortunately, the Pocket Shark wasn’t found swimming in the sea. 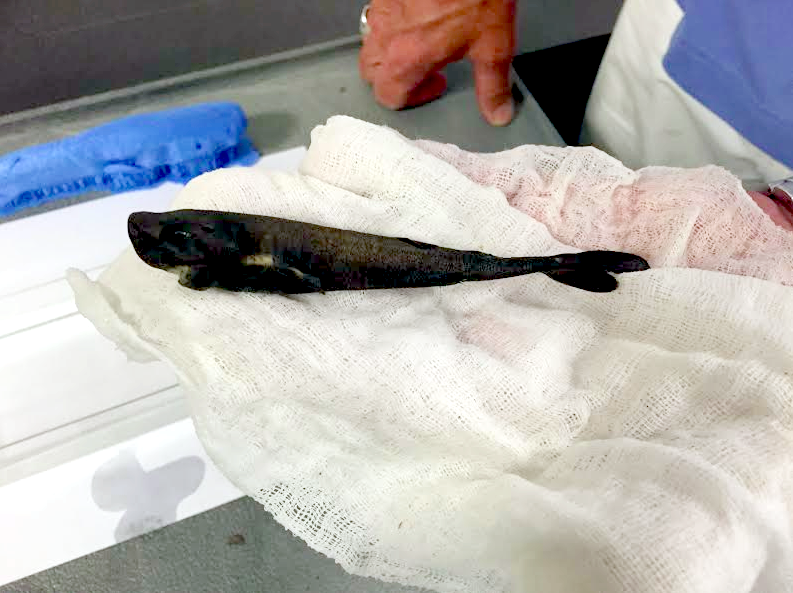 The fish obtained during the NOAA mission had been frozen and slowly sorted through by scientists. 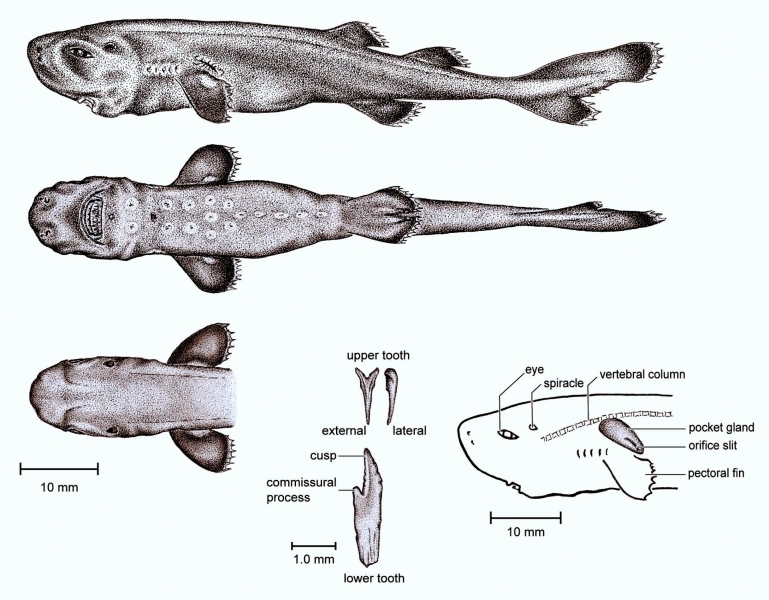 One of the clearest signs that the scientists had stumbled onto something different was the fact that the Pocket Shark had a “remarkable pocket gland with its large slit-like external opening located just above the pectoral fin”. 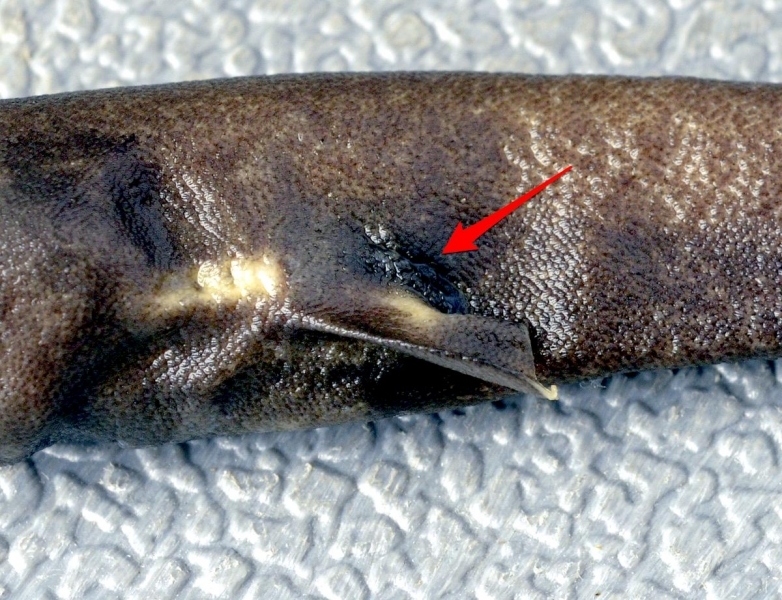 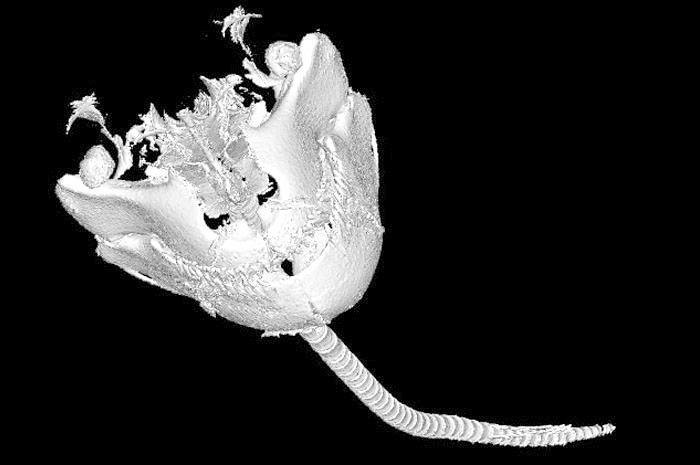 Scientists are unsure about the pocket’s purpose but based on research from a similar species, they think it might be used to release pheromones. 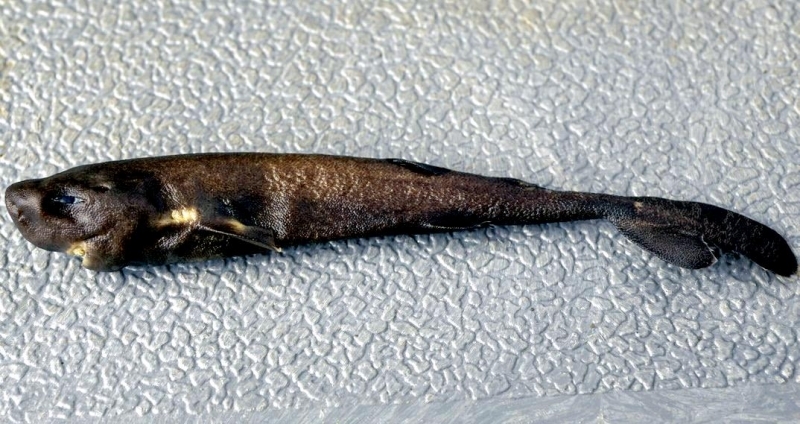 It’s common name comes about because of this unique pocket. 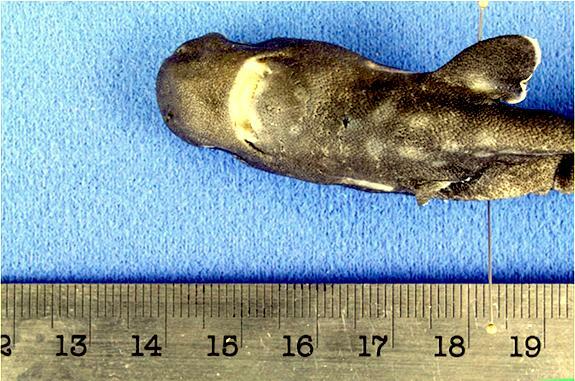 The specimen found was clearly a young Pocket Shark, measuring only 5.5 inches long. 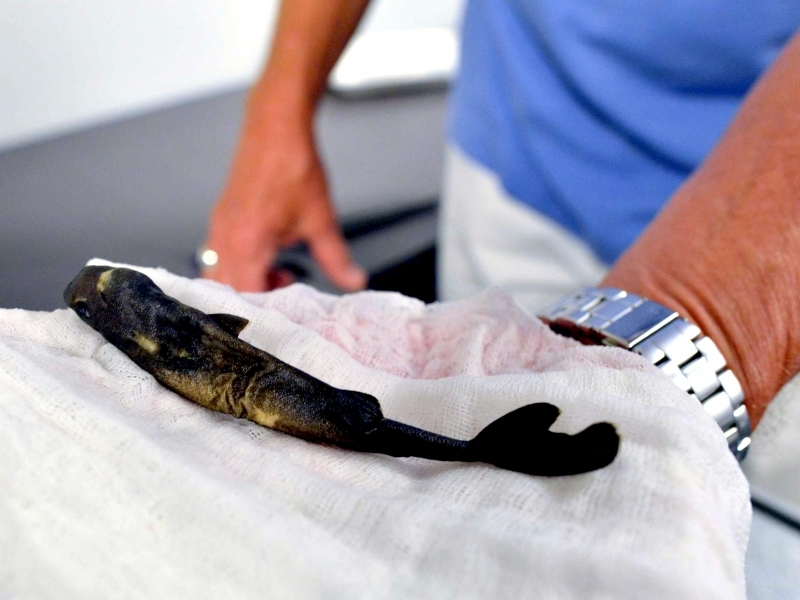 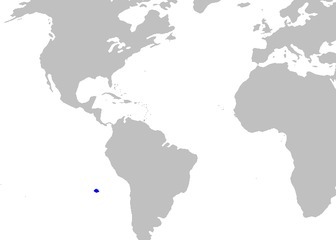 The last Pocket Shark found was a female who clocked in at about 17 inches along. 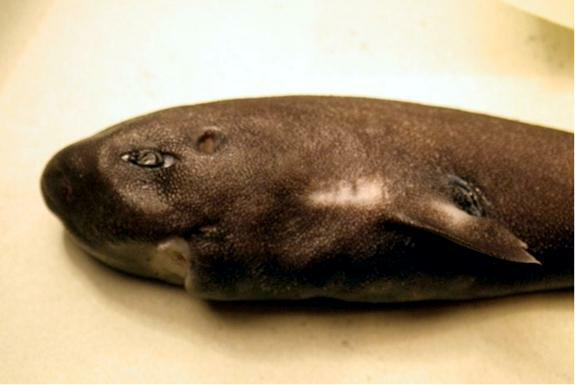 Adding to the limited body of research about this remarkable animal, the Pocket Shark’s belly had “ventral abdominal photophore agglomerations” which in non-science-speak, means it had a grouping of light-emitting organs on its underside. 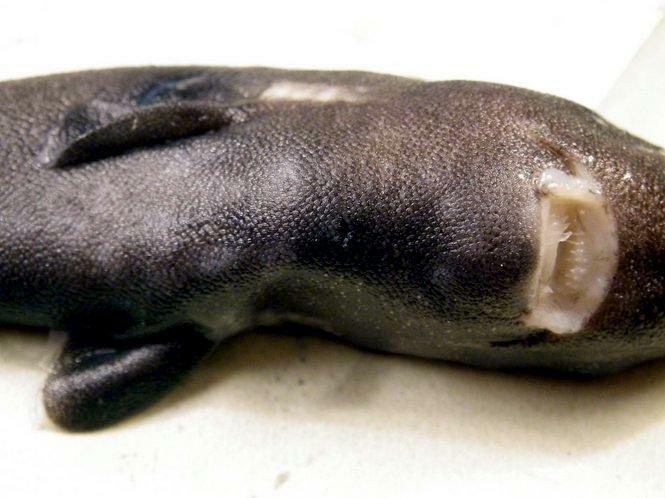 Upon running tests on the shy species, it was determined that the Pocket Shark’s closest relative was the Cookie Cutter Shark. 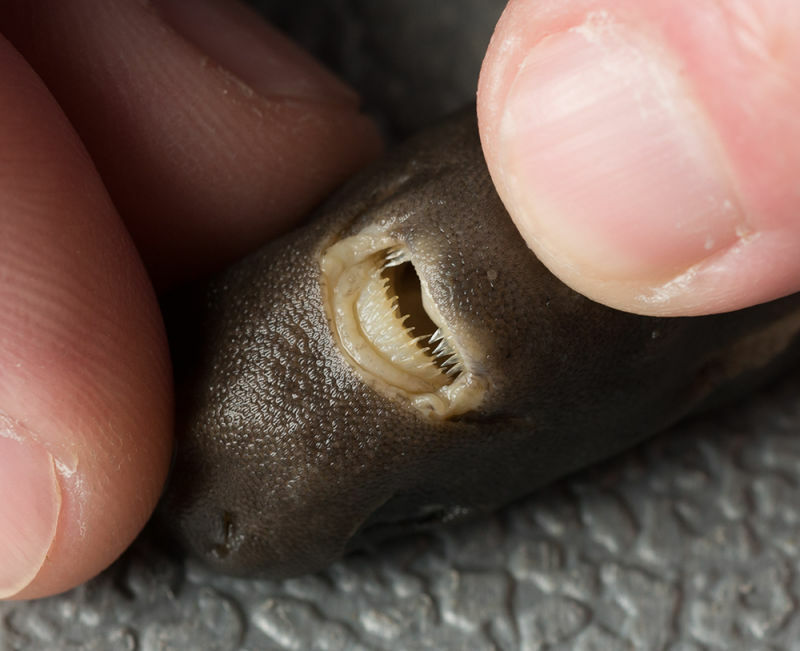 Like those sharks, the researchers theorize that in addition to eating smaller animals whole, the Pocket Shark might also feed by chewing out plugs of meat from larger creatures. 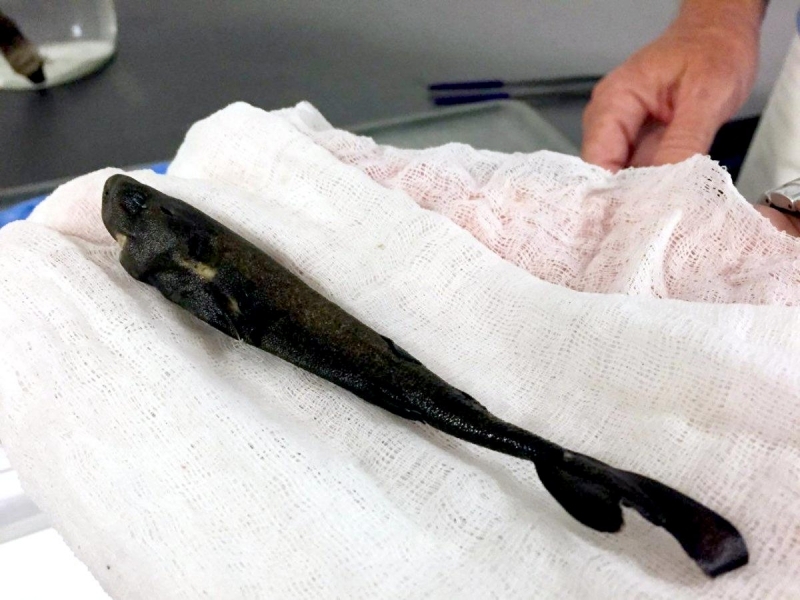 This record of such an unusual and extremely rare fish is exciting, but its also an important reminder that we still have much to learn about the species that inhabit our oceans.